Discover a world of tailor-made treatments, dedicated to the beauty of the face, body and hair. Carita’s artisans of beauty strive for excellence and their perfectly mastered beauty techniques are seamlessly integrated into a unique moment of pleasure and sensual delight. These skin care experts are at the heart of the development process for the protocols (textures, techniques, etc.) and products, in an ongoing drive for precision and performance. This iconic House of Beauty skin care step was the result of an absolutely original concept. It procures a surprising, inimitable sensation as its initially wet texture transforms into a powder at the rhythm of a slow “draining massage”, leaving a vitamin-infused veil on the skin. Its Secret: A unique texture – a blend of sunflower seeds and essential oils. 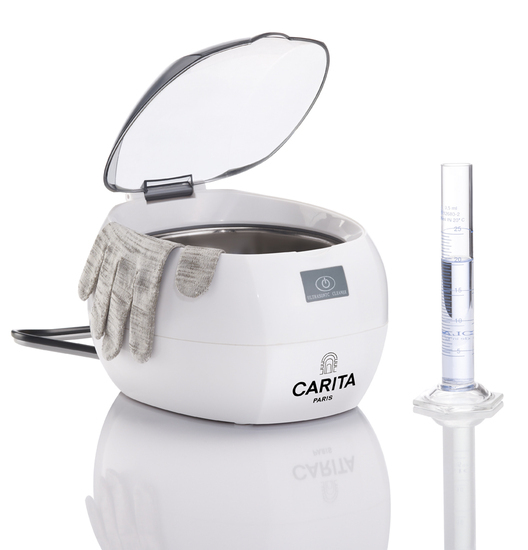 It remains the key step in Carita beauty treatments for refining the texture of the skin, boosting its regeneration and providing incomparable radiance. 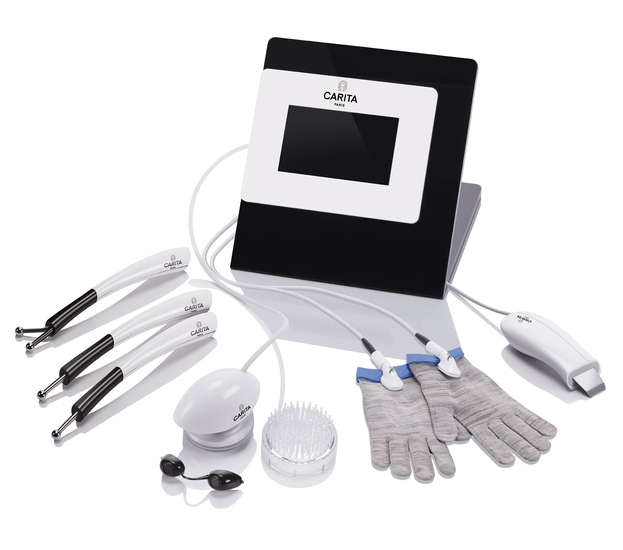 A true marvel of technology, CINETIC™ LIFT EXPERT is a beauty device which reflects CARITA’S HAUTE BEAUTE philosophy: global beauty for the face, body and hair. CINETIC™ LIFT EXPERT is the result of CARITA’s unique expertise in micro-currents, developed over a period of more than 20 years, combined with new technologies such as luminotherapy and ultrasonic micro-massage, as well as new accessories, to deliver a sensation of wellbeing, exceptional performance and visible and lasting results on the skin and scalp.